Citing unnamed sources familiar with the situation, former Fortune.com editor Dan Primack reports that Silicon Valley billionaire Peter Thiel will join President-elect Donald Trump’s transition team. 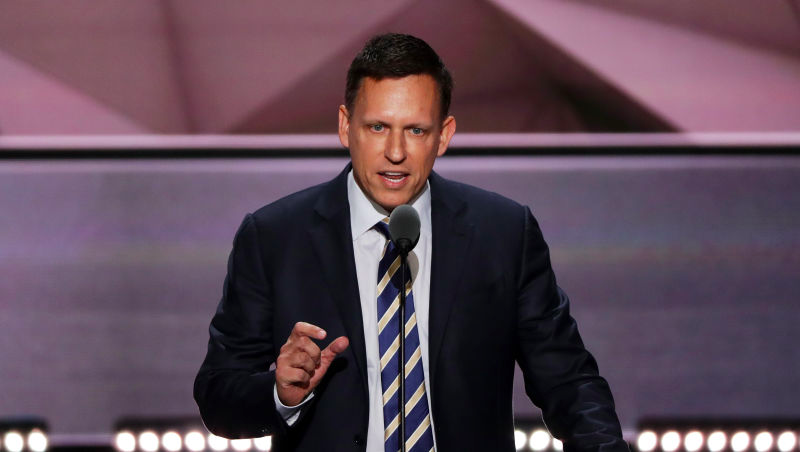 Earlier on Thursday, The Huffington Post reported that Thiel was being considered as a possible replacement for Chris Christie, who currently chairs the transition team, should the New Jersey governor step down. According to Primack, however, sources close to Thiel “say they’d be surprised” if he was interested in taking such a leading role. One of Trump’s most high-profile donors, Thiel told The New York Times on Wednesday that he is unlikely to have a formal role within the Trump administration but plans on advising the incoming President. In May, Thiel admitted to secretly spending around $10 million to fund a lawsuit by wrestler Hulk Hogan against Gawker Media, Gizmodo’s former parent company. After a Florida jury awarded Hogan $140 million in damages, Gawker filed for bankruptcy earlier this year. Gizmodo has reached out to Thiel for comment. This post will be updated if and when he responds. Correction, 10:05 P.M.: An earlier version of this story said that, according to Primack, Thiel would lead the transition team. Primack reported that Thiel would merely join the team.